This hilarious wine glass holds an entire 750mL bottle of wine—or just enough for one person. The front reads “They should put more wine in the bottle so there’s enough for 2 people”, which essentially gives you a free pass to hog it all. 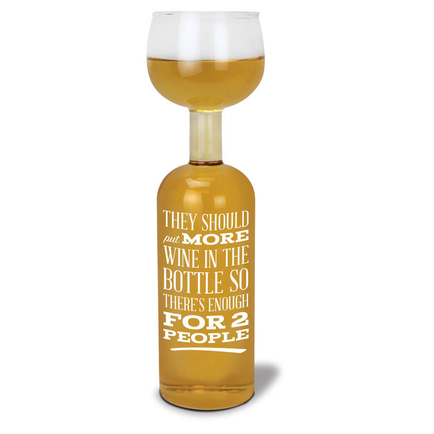 A viral sensation, our patented Wine Bottle Glass design has been featured on the Today Show, The Tonight Show, and more.